This was one of four different designs for the annual Herman Miller employee Christmas party. The party theme was Sounds of Christmas. 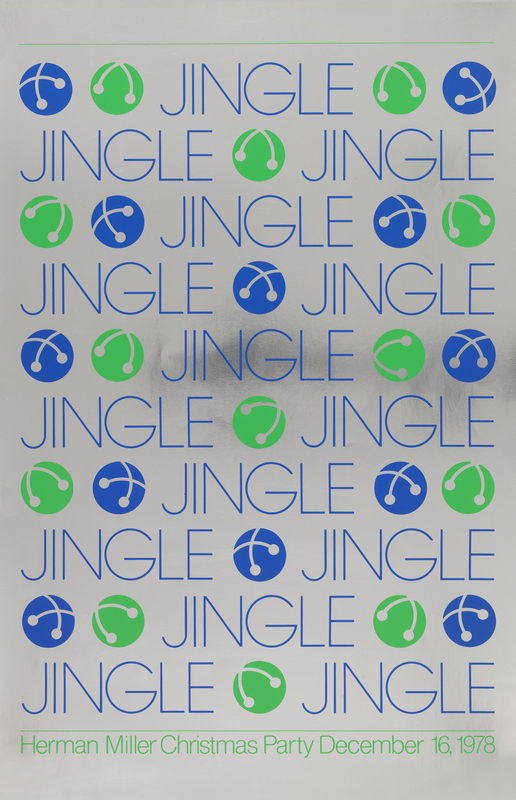 Instead of designing one poster incorporating many sounds, 4 posters were designed, each focusing on one sound: Ho Ho Ho, Fa la la la la, Smack, and Jingle. Size W 23" x H 35"